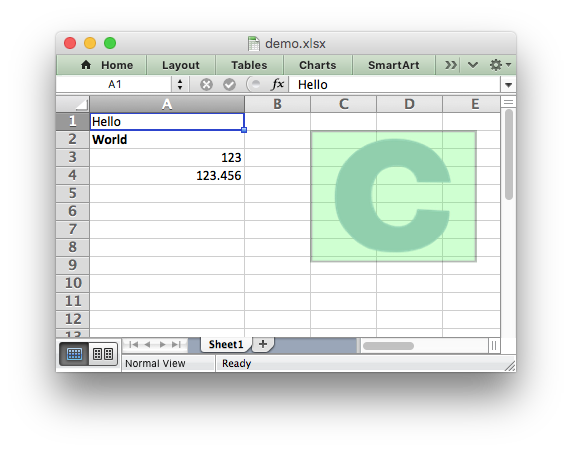 Libxlsxwriter is a C library for creating Excel XLSX files. Works with GCC, Clang, Xcode, MSVC 2015, ICC, TCC, MinGW, MingGW-w64/32. Works on Linux, FreeBSD, OpenBSD, OS X, iOS and Windows. Also works on MSYS/MSYS2 and Cygwin. Compiles for 32 and 64 bit. Compiles and works on big and little endian systems. The only dependency is on zlib.